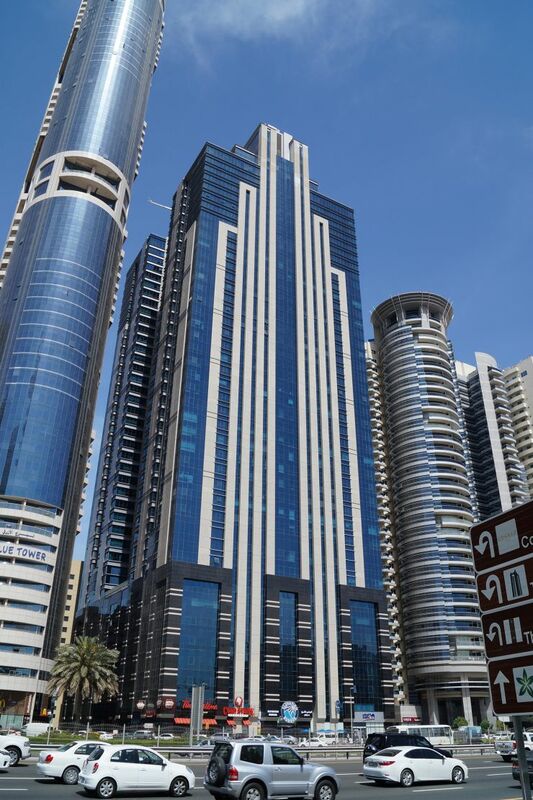 Located on Sheikh Zayed Road, close to landmarks such as the World Trade Centre, the Emirates Towers and the Dubai International Financial Centre, our translation office is on the 15th floor of Latifa Tower. Its central location makes it easily accessible for our visitors. You can come to our office either to discuss your translation or interpretation project and request a free quote or to collect your legalized documents − if you prefer we can also send them to you by e-mail. You can reach our office either by car (public and valet parking available), by bus (three minutes’ walk from White Crown Tower station or Durrah Tower station and six minutes’ walk from the Trade Center Metro Bus Stop) or with the M1 line of the metro system. Our office is opened Saturday to Thursday from 8 a.m. to 8 p.m.
At your arrival you will be greeted by Genile, our sales representative and receptionist, who will give you any information on our translation services and interpretation services. Depending on your needs, she will arrange a meeting with one of our team members, who will be at your complete disposal.